July 26, 2017 24 Comments This post may contain affiliate links. Piano painted! I feel like shouting this from the mountaintops! Hey friends, thanks for stopping by today, I love having you over, wish it were in real life. 😉 I FINALLY got around to having the painted piano I always wanted…I have been talking about this project for over a year now. There were multiple problems like time and indecisiveness pushing the brakes on this makeover. 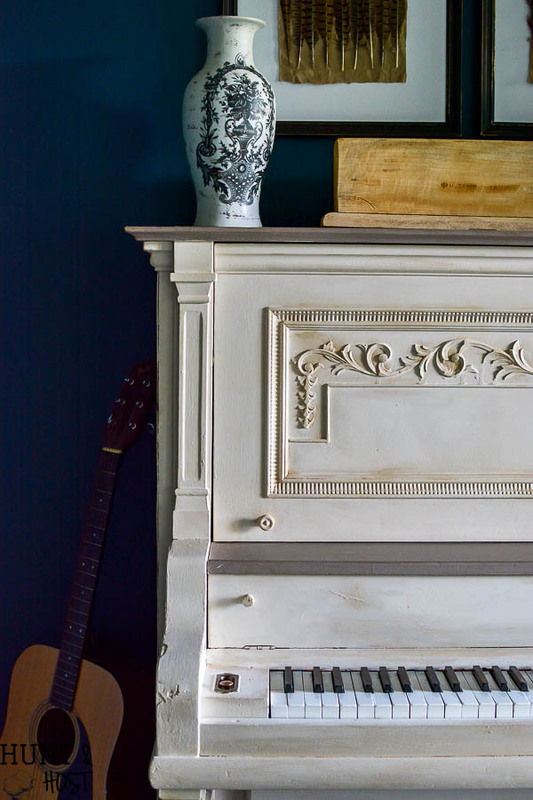 If any of you are furniture purist who can’t stand to see painted furniture, now is the time to look away. You are about to witness a crime scene on this painted piano. This post is sponsored by Amy Howard at Home, all opinions are my very own. I ‘ve always wanted a piano, heavens knows why…there is not a lick of musical talent in my body, but I’m awed by people with musical gifts. Maybe I though having a piano in the house would call out the inner Mozart in one of my kids and some child prodigy would spring forward. So far Wolfie Jr. hasn’t shown up. He’s just that good to me. And that’s how we acquired my precious out of tune, never played piano that I love. Happy anniversary to me. 🙂 That was a few years ago and it has sat, patiently, waiting for its turn at a makeover. The truth is this piano was in rough condition that isn’t as obvious in pictures as in real life (you can see the before pic a few shots back). 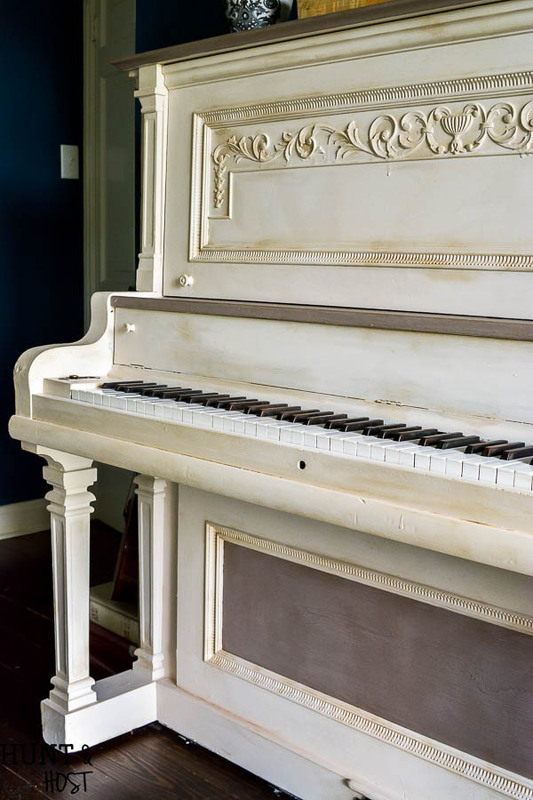 The piano had a rather glossy off-brown color and the sides had been painted to “match” the stain. Not very attractive. I hesitated for so long because I didn’t just want to paint it a plain old color I wanted something more fun, but traditional, that would match the cozy library feel we have in the living room. 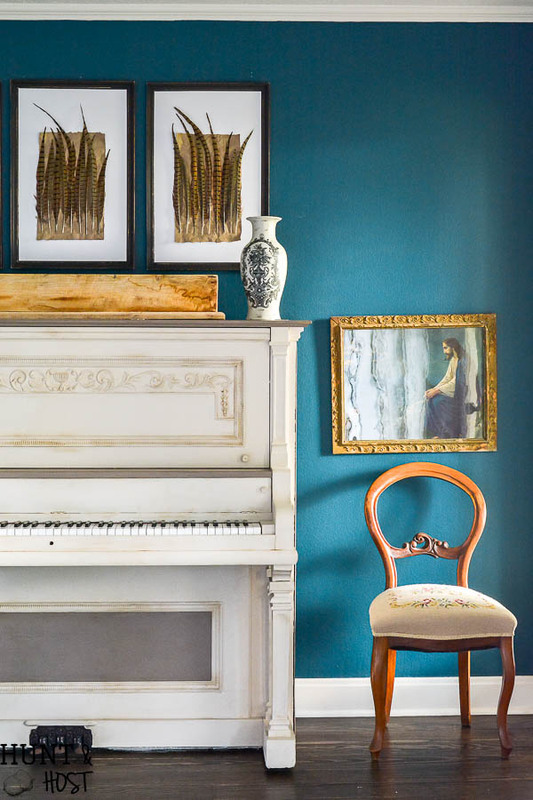 I decided to go with Amy Howard paints because they are gorgeous colors and a dream to work with. 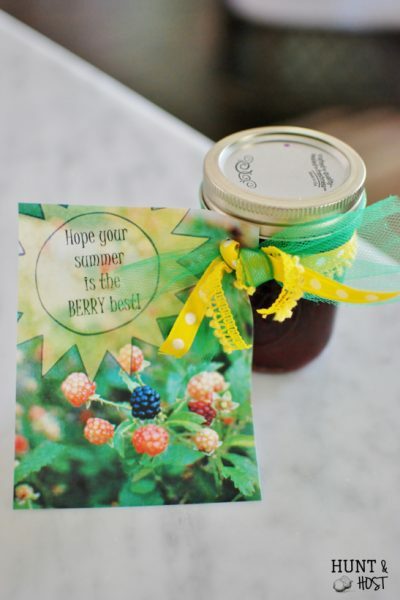 I have done other projects with her product line and always love the results. 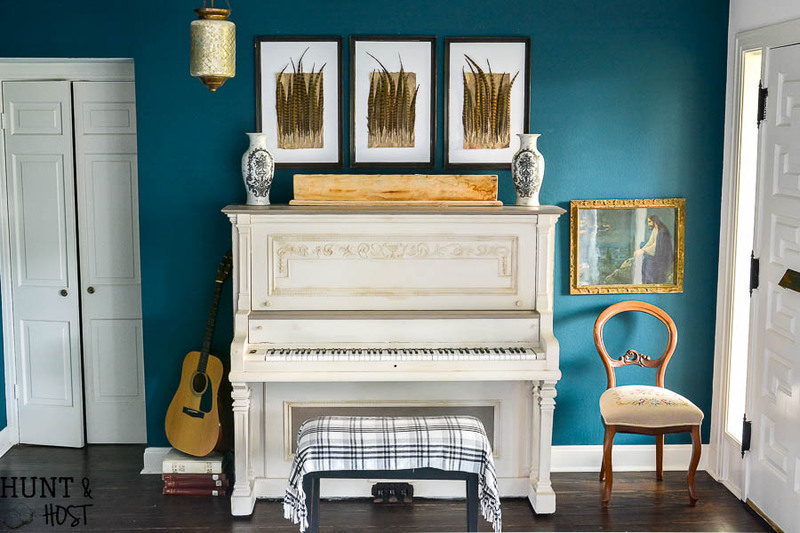 You guys know I’m a huge fan of make your own chalky paint, but I wanted to be sure to have an extra delicious color and finish on this painted piano since it is such a focal point. 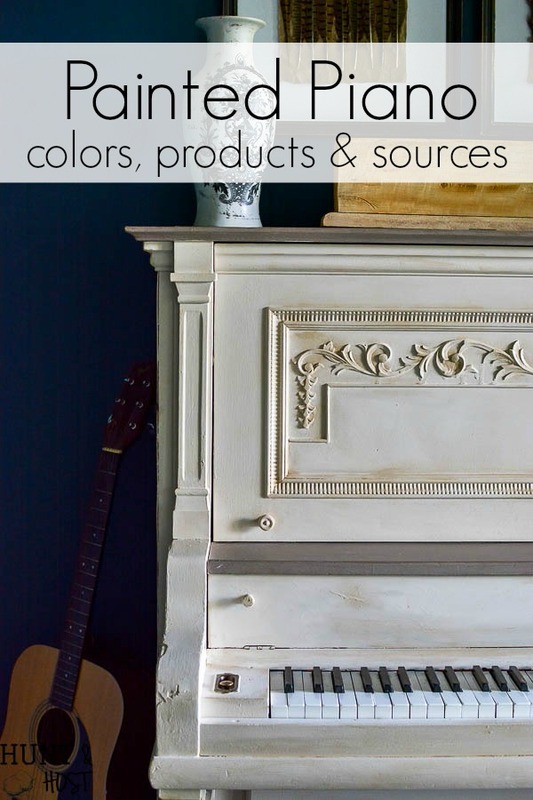 I selected Amy Howard One Step Paints in Linen and Kimbel as my two tone color choices. They were great to work with for this project. Even with the glossy finish on the piano I did ZERO prep work. No sanding, nothing. It took two coats of paint for full coverage, but it went on like butter. (I will have a supply list with sources below!) Since this piano is over 100 years old I wanted the paint to look aged, even if this was a huge update. The next step I took was using Amy Howard’s Antiquing Glaze. You apply it with a sponge, dabbing it all over and it adds a rustic feel. 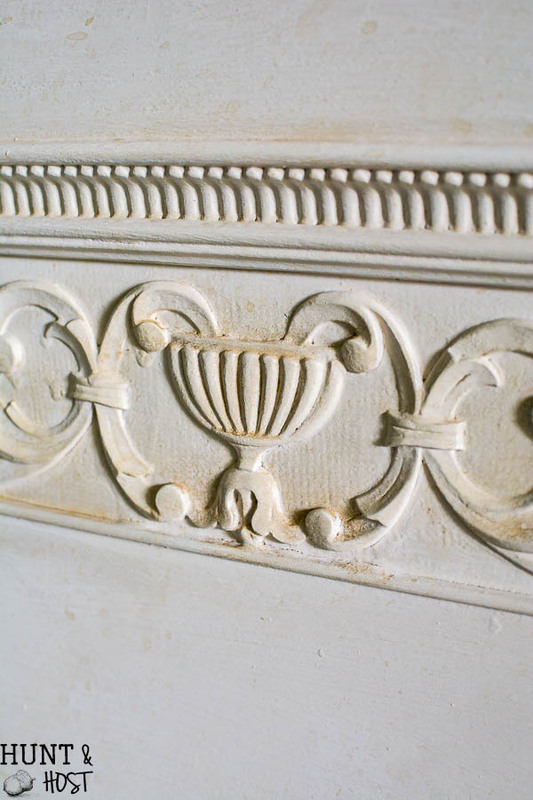 You can also take a stiff bristle chip brush and flick the glaze in random areas for a distressing effect that looks very authentic to an aged piece of furniture. Amy Howard One Step Paint doesn’t need a sealer, but I wanted to age the finish a little bit more, so I added a dark wax to the details, cracks, crevices and edges. I love the worn in feel this technique gives. 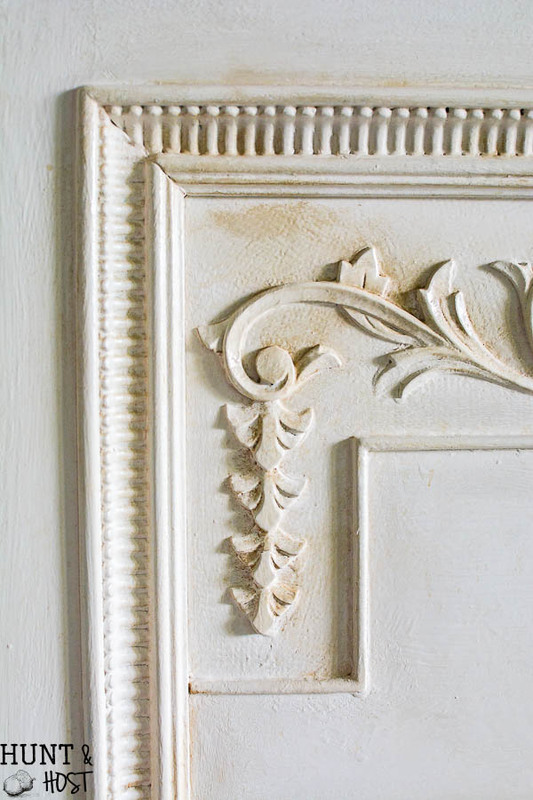 Be sure to use dark wax sparingly and think about how a piece is used, tell a story with the aging process you apply. 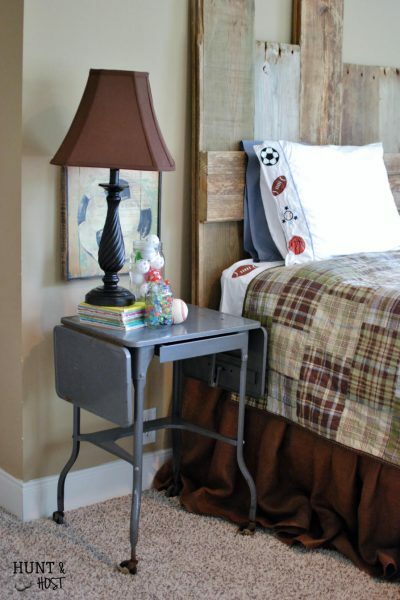 You can see more on how to wax furniture here. I’m super happy with how this piano painting turned out! 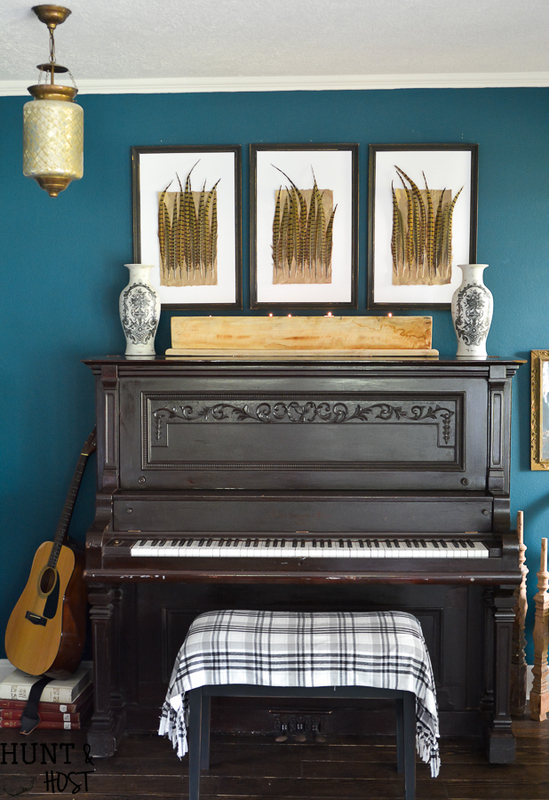 Some fun piano decor thrown on top rounds out this little nook in our home. 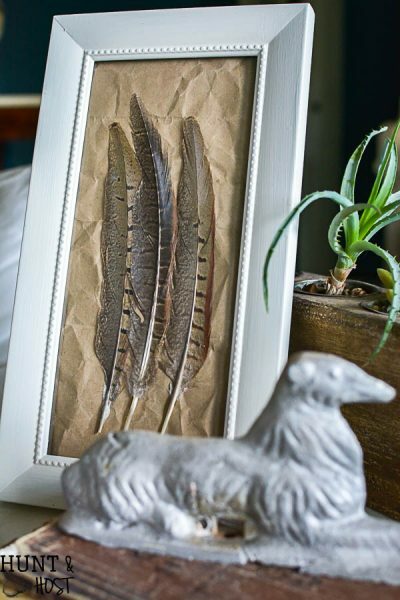 You can see how I made the DIY feather art here and the super long sugar mold is from a trip to Round Top! 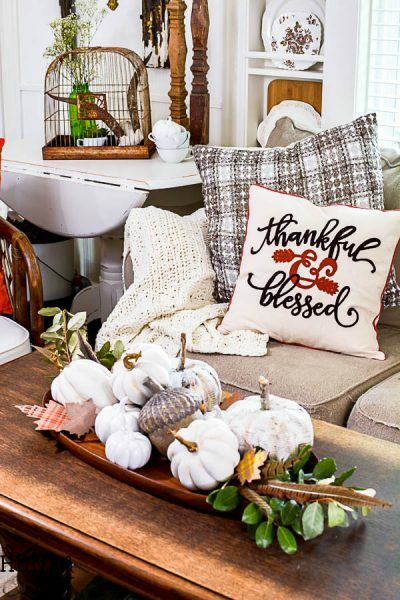 Of course this will be a spot I change out seasonally, so stay tuned for that! 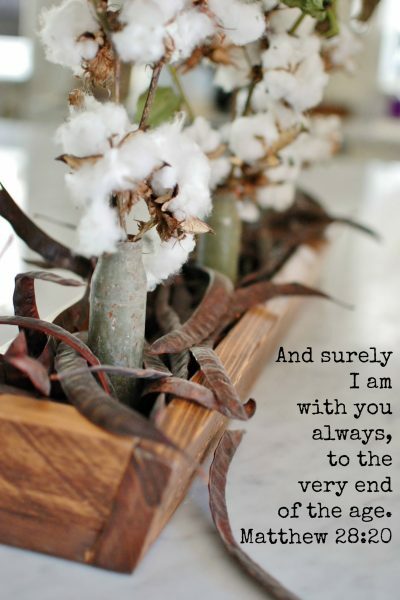 Now I just need to update the piano bench…there is always a project on the horizon! Check out the product list below if you’d like to copy this look for your own. I’d appreciate if you’d pin this project for others to enjoy! Thanks friends!!! this list contains affiliate links, this just means if you make a purchase I may receive a small commission, your price stays exactly the same. Thank you! Previous Post: « How Can I Take One Step Closer To The Lord? 4. It makes you happy friend! As always, kim, you thoughtfully considered this project and came to a great solution. Now, which kid is taking piano lessons? ???? This is beautiful!! And the products sounded so easy to use! Thanks. thank you, they are all super easy to use! What a huge accomplishment! Beautiful! So happy for you!!! Thanks for sharing. Blessings and smiles. It was a project I had been wanting to get to for a long time thank you friend! You kept the loveliness of the piano and made it better. It is a beautiful old piano. thank you Marlene, it really is a sweet piece! Loving your piano now that it’s painted. Especially love the aging with the dust. Just lovely work on such a beautiful piece!!! LOVE, love, love!!! ❤️❤️❤️ You’re brilliant! ???? hardly, but you are a sweet friend! It looks fantastic Kim! You really brought out the beauty and detail on this piece. Thank you – it was so great to see you at Haven last week!!! Oh my goodness this is just stunning! Nicely done! thanks a bunch, It is pretty in person! It does look so much nicer in the room. Odd how paint–even though it didn’t cover up the knicks or chips, made it even lovelier in my opinion. 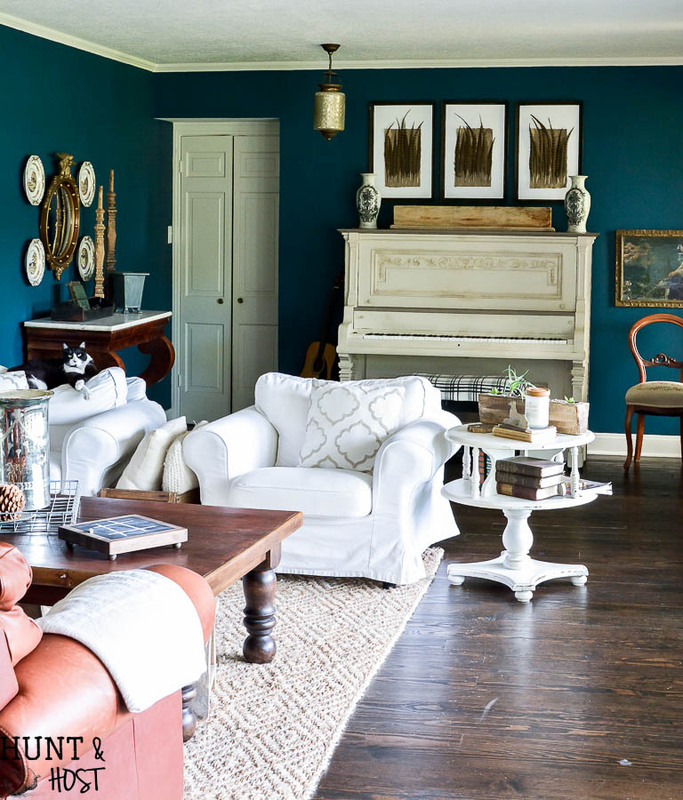 And it stands out as a conversation piece against that deep teal wall. thank you and yes, I think it still kept its character with this little facelift! I love that! This is one of the most gorgeous make-overs! Simply lovely! Gorgeous piece! I love the new color, it makes the ornate wood work standout so much more. the details were so lost, I too love that you can really see them now!